Anglers will enjoy two large fish boxes built into the 400 SFS to store their catch of the day, and can utilize two 50-gallon oval livewells (colored blue inside with LED lighting). For convenience, one livewell is located near the tackle station and the other is in the center of the transom. 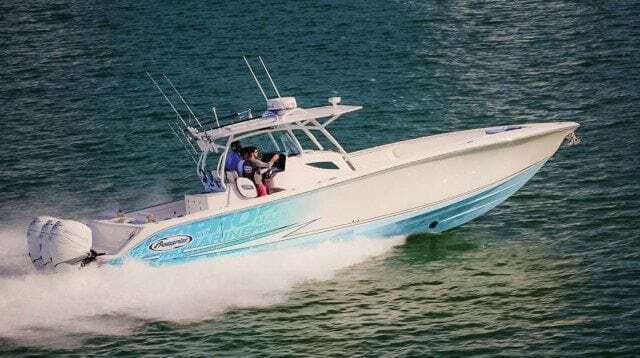 The center console cabin is composed of a fiberglass inner liner that offers 6’6″ of headroom with a sofa, convertible bed, storage, sink, countertop, and head. 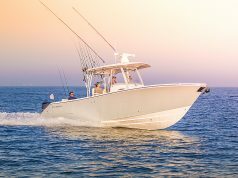 To add to the fishing features, the Promarine 400 SFS comes with a self-bailing cockpit, fiberglass hardtop with spreaders and LED lights and rocket launchers. The 400 is also built in a Grand Touring Series for families and a Sport Cabin Cruiser series for overnighting. 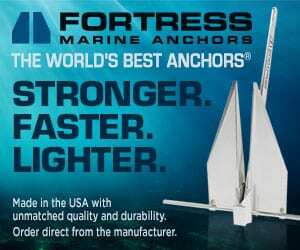 To add to the construction strength, the hull and deck are chemically bonded, mechanically fastened and fiberglassed together for a superior ride in rough water. Anglers will enjoy two large fish boxes built into the 400 SFS to store their catch of the day, and can utilize two 50-gallon oval livewells (colored blue inside with LED lighting). For convenience, one livewell is located near the tackle station and the other is in the center of the transom. 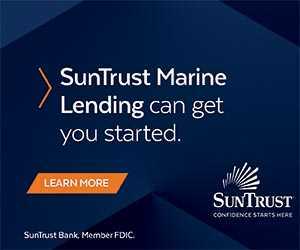 The center console cabin is composed of a fiberglass inner liner that offers 6’6″ of headroom with a sofa, convertible bed, storage, sink, countertop, and head. 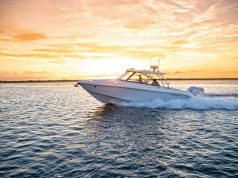 To add to the fishing features, Promarine builds the 400 SFS with a self-bailing cockpit, fiberglass hardtop with spreaders and LED lights and rocket launchers. 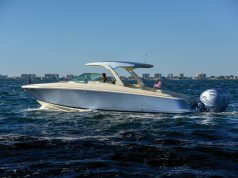 The 400 is also built in a Grand Touring Series for families and a Sport Cabin Cruiser series for overnighting.